Happy Friday To All Of You, My Most Beloved Men And Women. This Post Is To Inform That I Was Apparently Added To FamousPeoplePhoto.com, Under The Category Of Music, On August 27, 2015. I Have Already Visited The Site To Check It Out. And Once Again, I Didn't Know. I Had No Idea That I Was On This Particular Site Until Today. There Is, However, A Small Little Mix-Up: The Bio Of The Late, Great Cat Anderson, Who Was The Great Duke Ellington's Trumpeter, Is In The Section Where My Bio Should Appear. So My Assistant Is Working To Get The Honest Mistake Corrected. It Happens. And Hopefully They'll Have My Photo And Bio Up Shortly. So, My Loves, Apart From That Small Bit Of Confusion, Yours Truly Is Now In The Famous People Photo Gallery At FamousPeoplePhoto.com. Do The Damn Thang Like Ya Mean It. And Don't Take No Isht. And Spread Plenty O' Love Around. Father God Himself Has Made. Live Your Lives And Take It All In Stride. Just Making It Up As I Go Along, Babies. Just Making It Up As I Go Along . . .
For It Is Decorated In Radiance. And Caressed In Aromatic Fragrance. Needless To Say That, For These Remarkable Reasons, I Have Chosen A Beautiful Watercolour Of The Peony Flower To Lead This Post. Enjoy This Friday And The Rest Of The Weekend, Babies. Mwah! Mwah! Mwah! Wet 'n Sloppy. 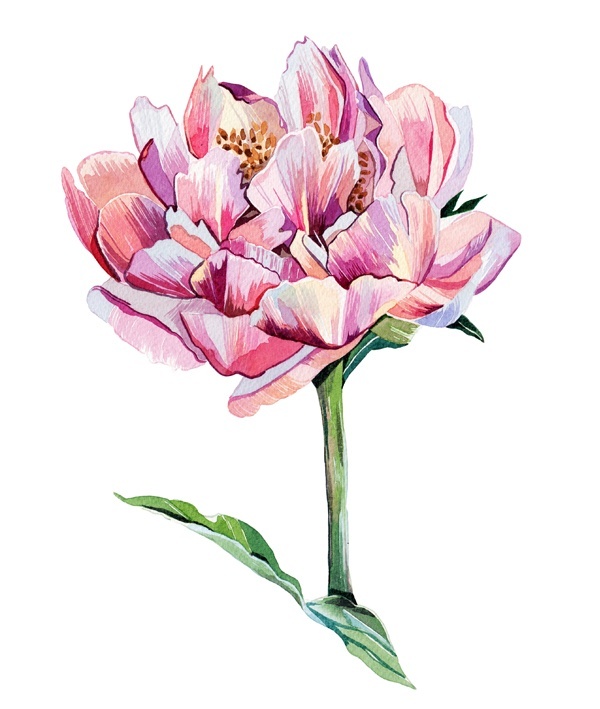 Watercolour Illustration of the Peony Flower By Holly Exley.